International Women’s Day passed by earlier this month, and we’re celebrating the coolest female culinary stars in Hong Kong’s food and beverage scene. With a degree in International Hotel Management (First Class Honours with a dissertation on the Evolution of Mixology, natch) as well as the 2010 Crown of the Diageo World Class Bartender of the Year, Amanda Wan is quickly making a name for herself at The Envoy. Here’s Amanda on her background, what makes her tick (and ticks her off) at the bar, and how she rose to the top in Asia’s bar scene. BL: What’s your story, and how did you get started in bartending? I started as a Starbucks barista, and that got me fascinated with how one bean could be translated into so many varieties of coffee. From the bean, I went to the grape, and that was what got me hooked onto wine. That was what really intrigued me about the drinks industry, where you could get so much exposure in different varietals and regions. It was a natural progression for me, especially being in the beverage industry. One more thing that was important was having a mentor. Frankie Anthony took me under his wing, and showed me the ropes. All I did in the beginning was cut slices for garnishes and wash glasses. That was 11 years ago, now look at where I am! BL: 11 years and now you’re reaping the benefits of your hard work! International Women’s Day is coming up in March, and bartending is such a traditionally male-dominated industry. What are some of the challenges you faced in the industry as a female, and how have you overcome them? Both males and females face challenges in the food and beverage industry. I can’t speak on behalf of all women, but one of the early challenges that I faced was being taken seriously. There’s this public perception that female bartenders are supposed to be all cute, fun and bubbly in the bar – basically, trying to keep up with being the life of the party, rather than serious professionals. I exhausted myself trying to do that. Looking back, I would now advise other young women to be confident with who you really are, and be clear with what you like and what you don’t like. If you are being put in a position that you’re not comfortable with, just stop to consider why, and feel free to change your mind, and express your opinion. Back then it was always a bit tough, easier said than done (though not impossible). I was just 19 or 20, and it was hard to say “no.” I was doing everything — taking every job and going to every party — and now I wish I was more selective with what I did. There also weren’t many prominent women or role models for me when I started either. No mentor figures. All I could see were men succeeding. In order to progress in the industry, I thought I had to be macho, but in hindsight, that obviously just isn’t the case. BL: What are the most important skills that a bartender should have? First and foremost, quick hands, and a winning smile. First and foremost. There are nights where you’ll be completely slammed with orders and unreasonable customers, and you have to keep on moving. Then there’s the smile. You have to be super enthusiastic and gracious to each guest that walks through the door. You’re in the hospitality industry. As Starbucks CEO Howard Schultz would say, “we’re not a coffee business serving people, but a people business serving coffee”. BL: So true. What influences your cocktail-creation style? I am from Kuala Lumpur originally, and we love our food. So that means lots of flavours and influences from Malaysia, Singapore, and China. A lot of my drinks have key Asian ingredients in them. BL: What are the inspirations behind your drinks at The Envoy? It really is the culinary factor. It is a uniting thread for all Malaysians. When you travel to different places in the world you get to hear and see different stories and experiences. For example, take the notion of supper as an institution. 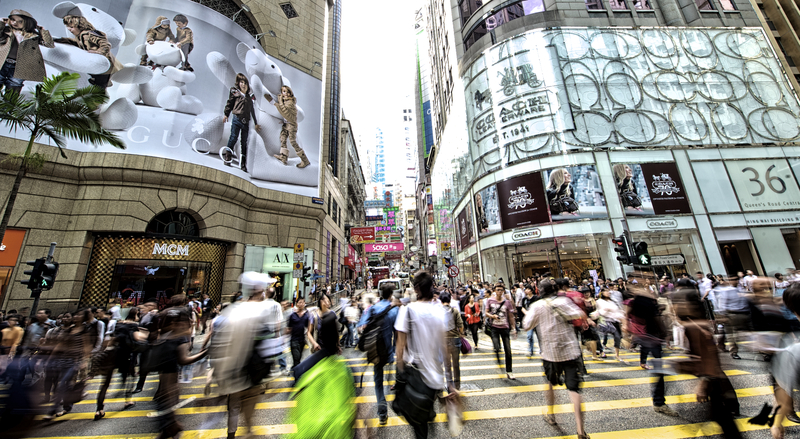 When you go to Hong Kong, you experience a multitude of cultures, flavours, and guests. Every place tells a different story in terms of tastes. I play with all those influences. BL: What ingredients are you particularly into at the moment? Why? I am known as the ‘Pandan Queen’. It shows up in way too many of my cocktails. I also am inspired by coffee, tea and wine. These days people want low alcohol options and more flavour profiles. BL: I hear that. It’s great to dine out to experience flavours you never thought possible in a drink. Are there any specific cocktail trends that you’ve seen in Hong Kong lately? One of the things that I love is the ‘locavore’ concept. There are people that want to enjoy ingredients locally sourced from the city. So that means trying to get local ingredients showcased in drinks. You also have these high-volume cocktails gaining popularity. People want the quality, flavor and they also want the speed. You have a lot of these canned cocktails, bottled cocktails and punches gaining momentum nowadays. BL: What is your favorite cocktail at the Envoy? And are there any special cocktails that you’ve made that didn’t really hit it? Dewdrops of the Heart is definitely my favourite. It’s a sickly romantic name, but it’s a symphony of flavour (pandan vodka, green tea and jasmine flowers). It’s topped off with homemade pandan syrup, and force-carbonated with CO2 in a shaker. It is served in a gorgeous champagne flute with a leaf. (BL personal note to self: need to try this). I’ve also had so many flops, and it’s a constant drive to innovate. Just look at Thomas Edison. He had a lot of inventions, and a lot of flops. You really have to push yourself, and keep on creating. My inspiration comes from all areas – some from traveling and others, from speaking with other people. I also have a lot of chef friends, and they all love to try different ingredients and flavours. So as a group, we’re like “how can we make a drink that uses elements of ginger and scallion steamed fish?” It’s a constant innovative process. That’s where most of my inspiration come from. BL: Tell us one of your craziest experiences you’ve had as a bartender. When you’re in the service industry you get caught up in the lives of other people. That was one of the things that threw me off-guard. I was just telling one of my regulars here that I got accepted to the Barista Competition in Milan, and he invited me to his personal place in Barcelona to chill out at, after the competition, even though he wasn’t there. He literally gave me the keys to his home! BL: Seriously?? I’m in the wrong line of work. Hah! When you have built up trust like that, it’s something which is pretty extraordinary. It was such a cool experience, and not something that I could get anywhere else. Not something that I could ask from anyone. You really never know what opportunities this industry might throw at you. BL: Where do you head on your night off? I need to recharge. I teach Sunday School on my night off. I love it as I teach toddlers, and they’re not really chatty yet, and they don’t have the vocabulary to properly converse. They’re all very cute and cuddly. They love hugs and just sitting next to you. BL: I love it when kids aren’t old enough to talk back. So, other than the Sunday School, which sounds fine and dandy, what do you really do? I love hanging out at cafés and bars here in Hong Kong. My favourite coffee place has to be The Cupping Room. It’s super consistent, and serves great coffee. I also am a huge Guinness fan, so that’s what I drink on my night off! BL: I’ll drink to that! What advice would you have for aspiring female bartenders? For ambitious female bartenders, my three pieces of advice are to have no fear, put in the hours, and work really hard at your job. There will always be challenges, but you will overcome them. The people that you surround yourself with, are family – your family will help you get through any of the challenges that you might face and turn them into opportunities for growth. Check out our International Women’s Day Campaign. Book now with code WOMEN to enjoy exclusive offers for female diners, and get 2x Chope-Dollars. Bookings must be fulfilled by 8 April 2017. You'll find Benedict meandering through the streets of SoHo to find the latest dive bar, Indie coffee shop or Michelin-starred restaurant!